Potential new students have the opportunity to find out about the wide range of career pathways offered and see the fantastic facilities at Barnsley College’s Open Day on Thursday 1 February 2018, from 6.00pm to 8.00pm. 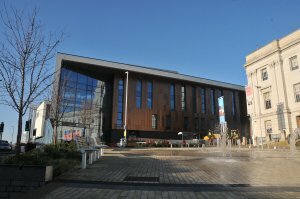 Barnsley College is the most successful general further education college in the region offering over 300 vocational, Apprenticeship, part-time and Higher Education pathways. With courses ranging from Catering and Hospitality to Beauty Therapy; Business and Management to Construction; and Engineering to Music, there is something for everyone. Visitors will have the opportunity to speak to tutors, attend presentations, find out about the range of support services available to them, and take a look around the buildings to see the excellent facilities. Have a look at our Campuses page to see the location of our sites. Visitors can use the public car park in the County Way Car Park behind the Old Mill Lane, Electric Theatre and SciTech campuses. This is a council-run pay and display car park. Our Honeywell Sports and CUBE Construction campuses have limited visitor car parking spaces. If you’d like to study for A Levels then you can visit Barnsley Sixth Form College on the same day as they will be having their Open Day too. Just a few minutes walk from the Old Mill Lane campus, Barnsley Sixth Form College offers 26 A Levels and celebrated a 99% pass rate in 2017.